With technology and gadgets getting more advanced, it's really easy now for us to get an entertainment. This can be bad news actually for circus performers. In the past, watching clowns going back and forth while juggling multiple balls at the same time might be entertaining. Now, I'm sure many kids would prefer to watch videos down on Youtube. Maybe I'm wrong, but the fact that Ringling Brothers Circus, one of the biggest and oldest circus company, is closing down its business this year speaks for itself. This old entertainment stage is getting less and less views from fans. 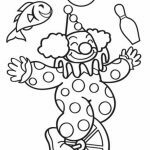 Anyway, if you've been looking for some circus coloring pages, I've got quite a few of them below. 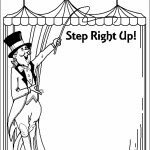 You can find various performers pictured in these printables. 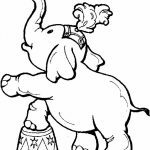 You get to see circus elephant doing some acrobatic moves and dancing and wearing funny outfits. There are also clowns juggling to no ends. 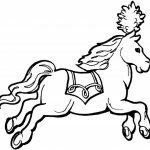 A ballerina rides a running horse while standing on the animal's back. A number of people making a human tower. It looks pretty exciting. It gives back the good ol' memories from the past, you know what I mean. 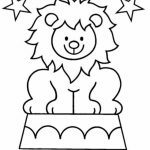 By the way, all of these coloring printables are free but you must not involve them in any commercial activity. They are meant for personal and educational use only. 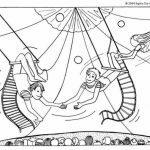 The word “circus” comes from the Latin word meaning circle or ring. Circuses used to be in permanent buildings rather than in tents like you see today. Paris used to have lots of these buildings. Breathing fire is very dangerous. The performer holds fuel in their mouth, usually paraffin or lamp fuel, and sprays it near a flaming torch. Tim Black set a world record by blowing a flame that was over 5m long. Joseph Grimalidi is thought to be one of the first circus clowns. He put on his first show in England in 1805. He was known as Joey the Clown. He performed tricks such as tumbling, pratfalls and slapstick beatings. Knife throwing became popular in the 19th century as part of Barnum and Bailey’s traveling circus act. The knife used in knife throwing has no handle and every edge, except for the point, is dull so that the knife thrower can get a good grip. In early circus shows the main acts were fast moving tricks on horses. As the audience started to want bigger thrills the shows became more spectacular and adventurous. In order to perform tricks safely, circus performers have to work as an equal team with no main star of the show. There is therefore a great team spirit amongst the circus community. Travelling circuses became popular in Victorian times. 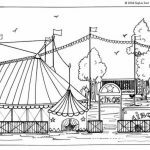 There would be great excitement when the circus arrived in the town or village and the Big Top, the large tent, was put up. 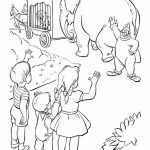 Children were often given the day off school to go to the circus as, in the days before film and television, it was the only chance people had to see wild animals. 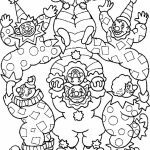 Related Posts "Circus Coloring Pages"